Please join me in welcoming Steph to the blog today! You can find her on Twitter @stephysite. 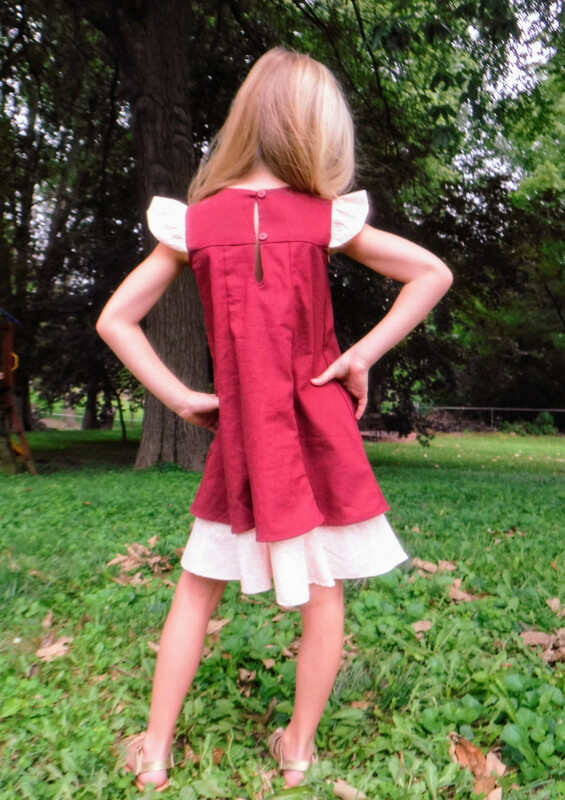 Today she is stopping by to share a bit about her favorite Oliver + S pattern and show us the fantastic versions she has made. Thanks so much for being here Steph! Hi! 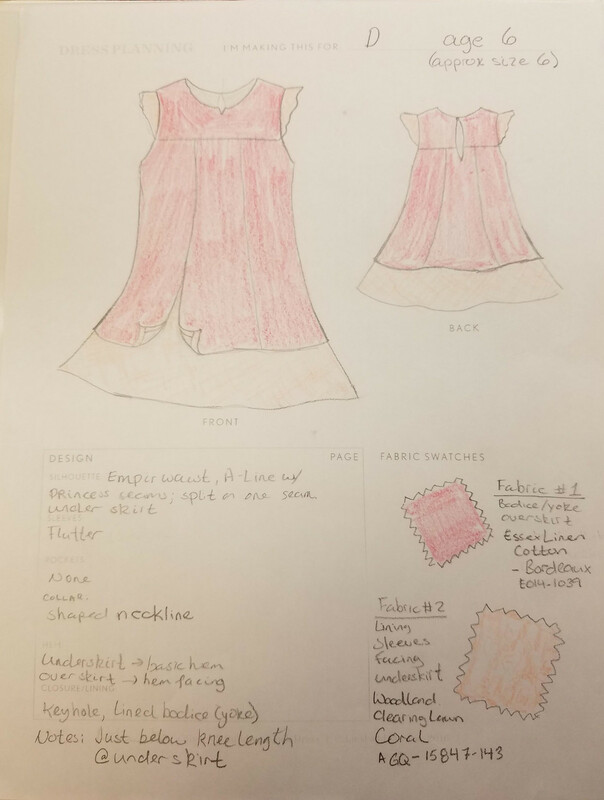 I’m Steph Spann, the winner of the Oliver + S Building Block Dress Design Contest. I’m here to tell you a bit about that and in doing so will tell you about myself, my daughter, and our Oliver + S favorites. While I’ve technically been sewing for over 25 years, life has always interrupted sewing. Now that I’m getting back to it, I, like so many others, have used Liesl’s patterns and wisdom to develop my skills above that of a novice. Around my daughter’s first birthday I stumbled upon and fell in love with Oliver + S. Since then I have made a point to take the time to sew a thing or two for my daughter’s wardrobe. 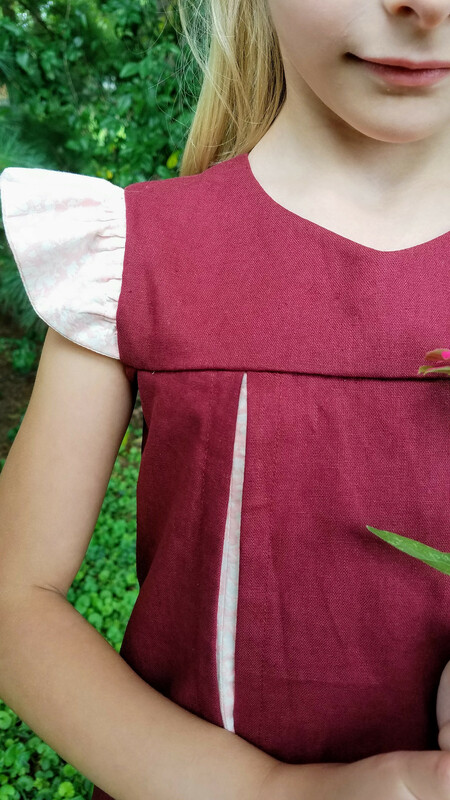 I started out making a lot of Music Box Jumpers (it’s a simple favorite) and have made quite a few Family Reunion Blouses and Classic Picnic Blouses. 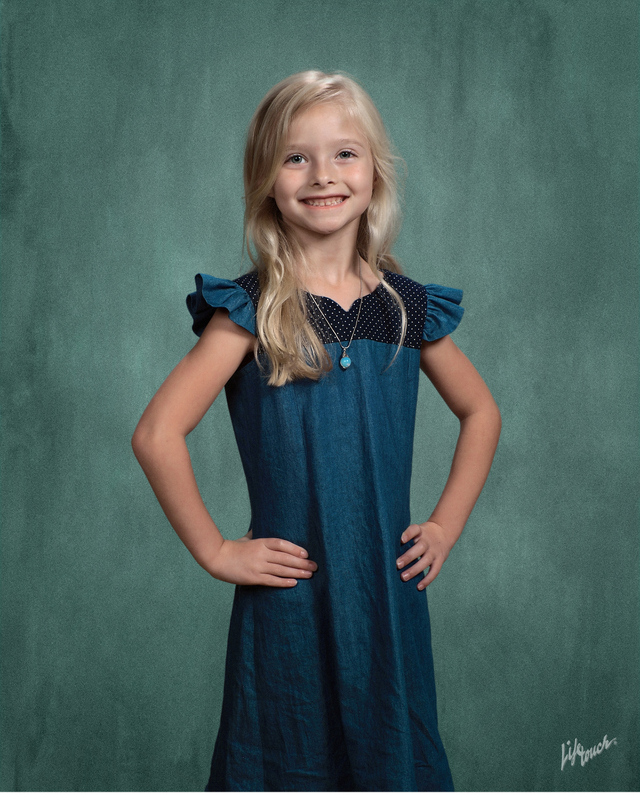 We love Oliver + S so much that all my daughter’s fall school photos feature an Oliver + S design. 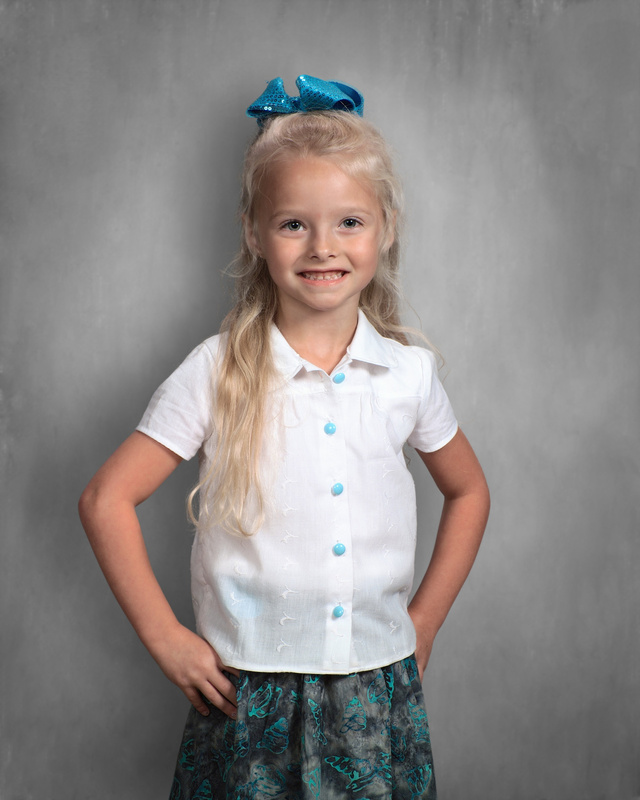 Pre-School featured the Music Box Jumper, Pre-K was a classy looking Music Class Blouse, and Kindergarten featured a design all our own (keep reading…). The design contest began shortly after completing our first dress from the book. 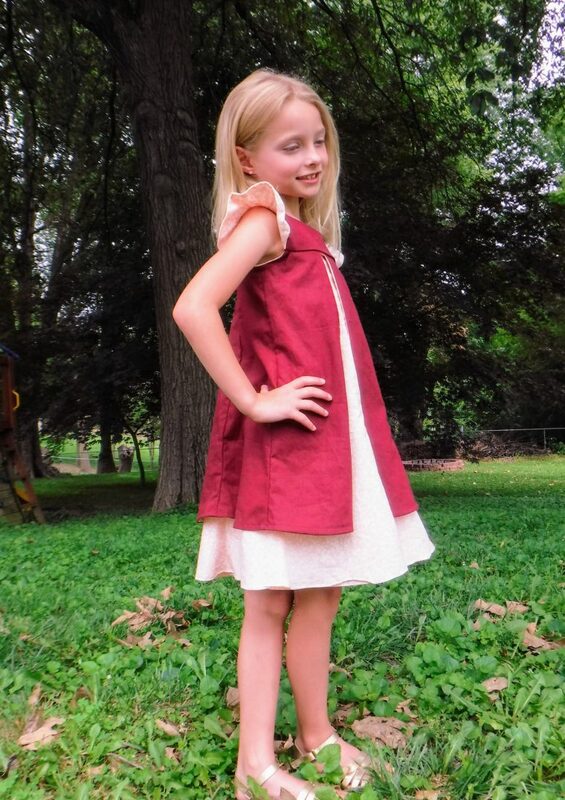 My daughter loved the first style, so we expanded from there and submitted the layered dress we called the “Over and Under.” The final sewn dress is similar to the sketch with a few subtle changes: We added an extra layer of lawn fabric as a skirt lining to minimize the sheerness of it, we added an extra button at the keyhole closure, and we modified the neckline. 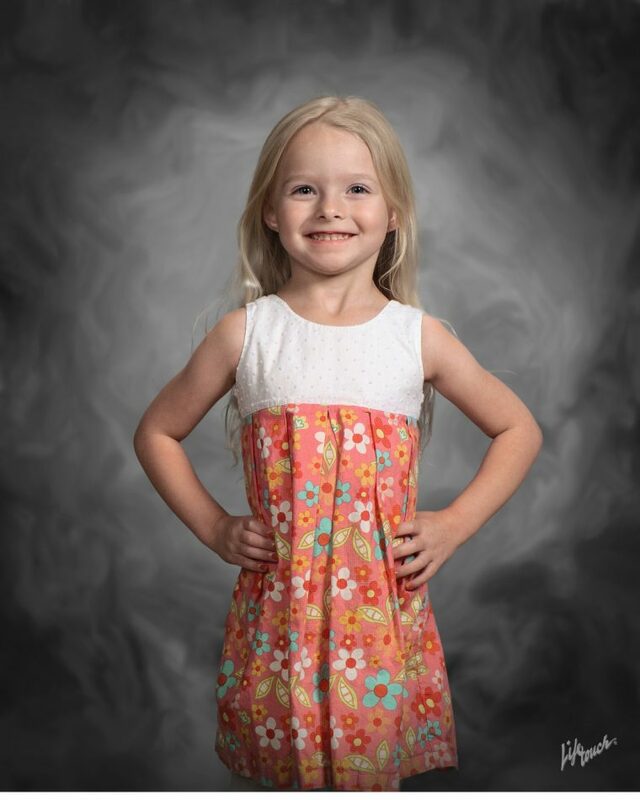 In hindsight, there were a few things I would have done differently but we’re happy with the way the dress turned out and we’re happy to name it the New Picture Day Dress! Here is just a bit about the process and the final dress: It is an empire waist A-line in a size 4 with a size 6 length. 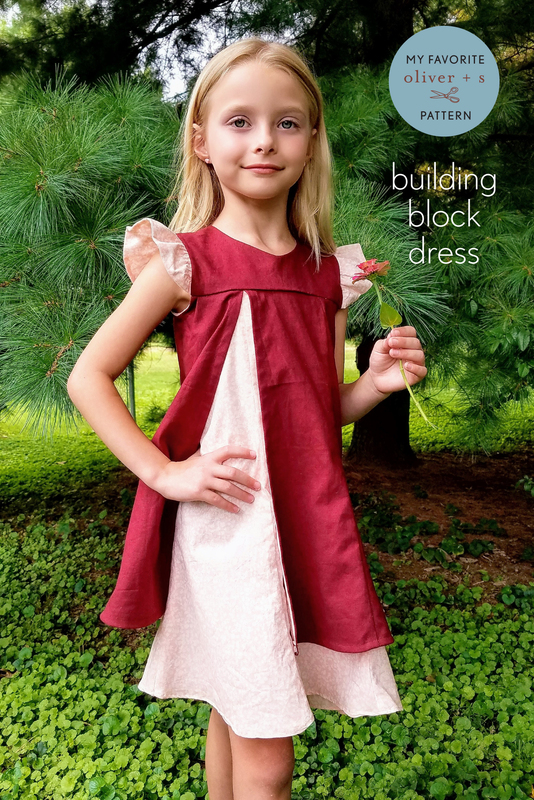 The dress has princess seams that flare at the skirt’s bottom, flutter sleeves, and a keyhole closure. I ended up doing a lining for the bodice and skirt in addition to some facing for arm holes and overskirt. 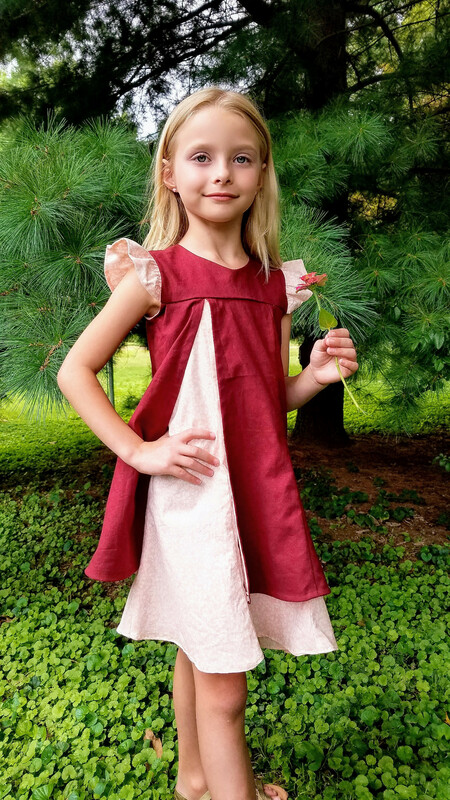 The bodice and overskirt use Kaufman Essex Linen Cotton in Bordeaux. The underskirt, lining, sleeves, and facing use the Liesl designed Kaufman Woodland Clearing Floral Lawn in Coral. 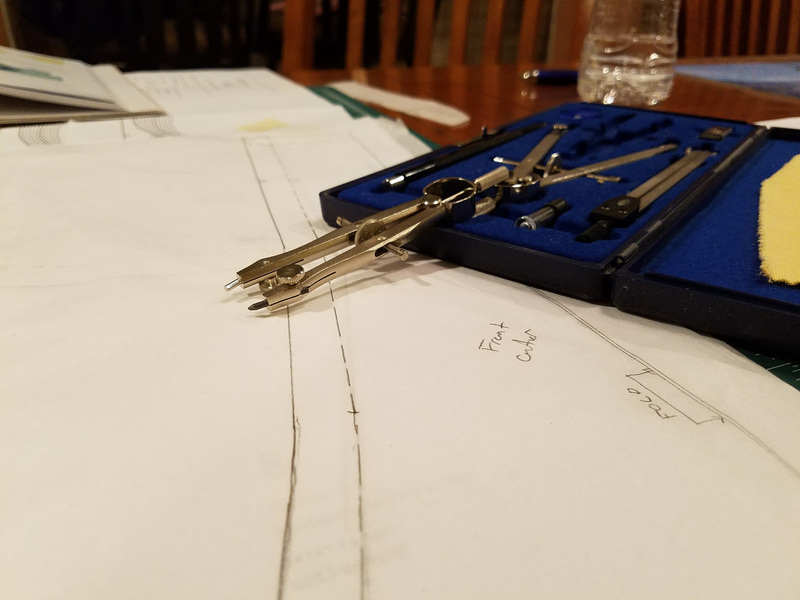 To make the pattern, I dusted off the old drafting kit (once used to draft building plans), gathered my other tracing and trimming supplies, and confiscated the dining room table. 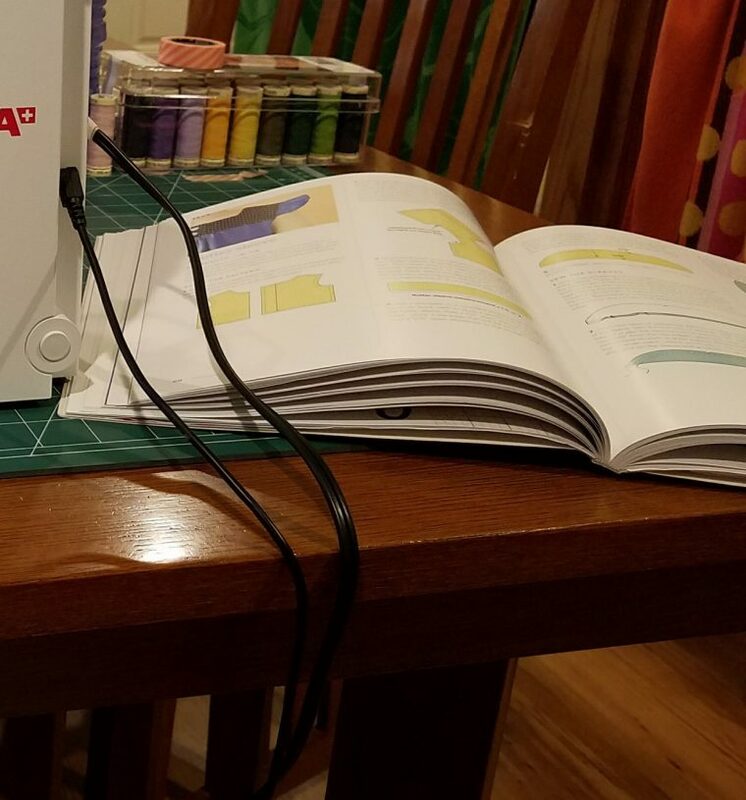 With the book at my side, I went step by step drafting, redrafting, cutting and taping until I had what I needed. 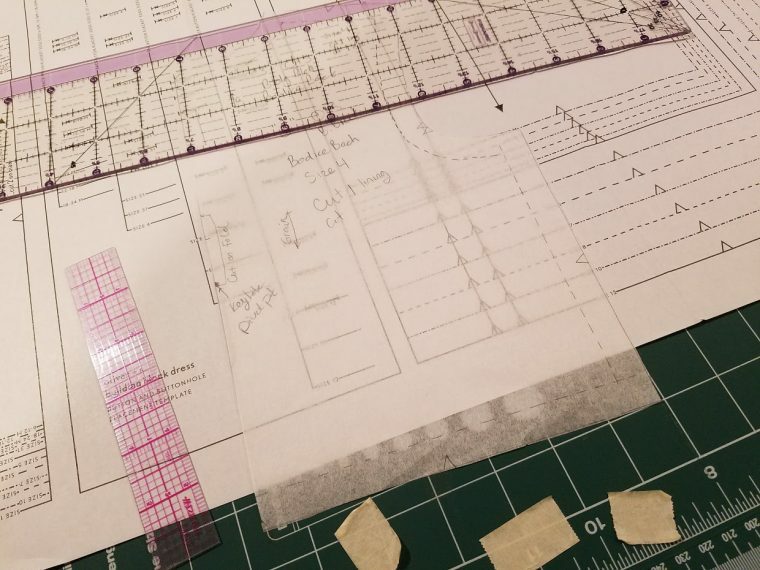 At one point, I had 5 layers of paper taped together developing one piece! 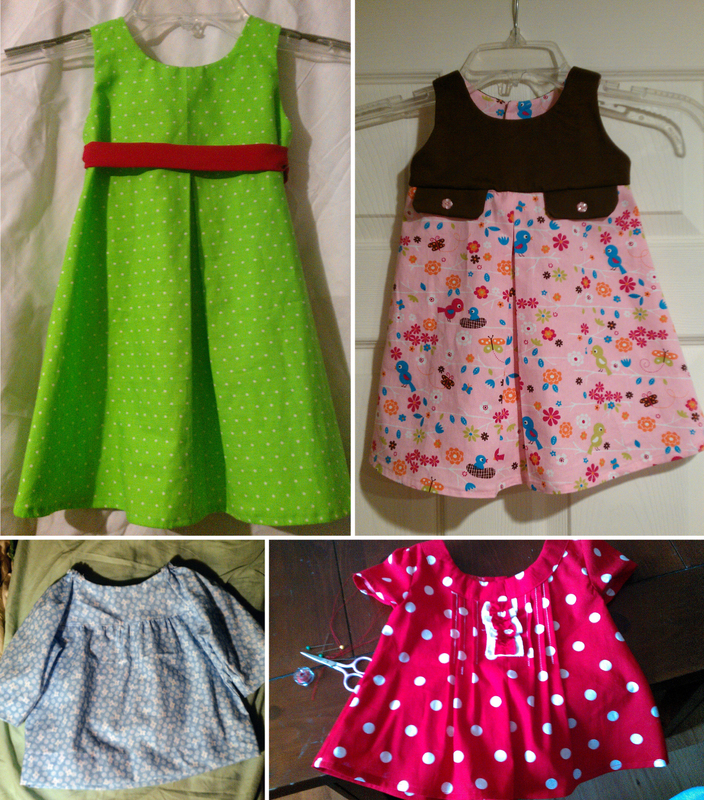 I had created 10 pieces to my pattern (skirt – 6 pieces, flutter sleeve, keyhole, bodice – 2 pieces). I utilized French seams for each of the skirt’s princess seams (for those doing the math, yes, it was an exhausting 18 French seams) and applied a rolled hem for the underskirt and lining and then used facing for the overskirt hem and slit. The final touch to the dress was adding the two buttons and thread chain loops for the closure. 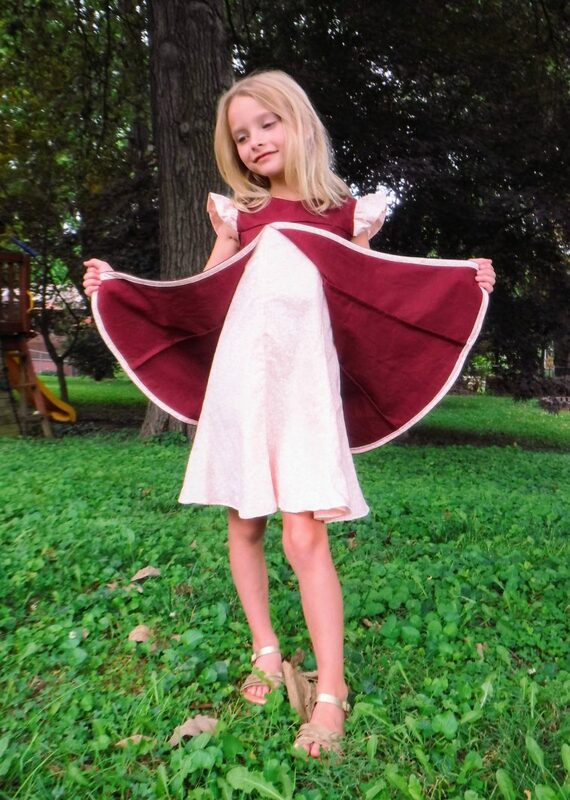 Now that we already have our dress picked out for picture day, I’m sure my daughter has something under her flutter sleeves for our next design! Wish me luck and thanks for reading. Thank you to Liesl and all of Oliver + S for everything you do! Lovely work! The flutter dress turned out perfectly and I adore the blue version too. I know what you mean about feeling like Liesl is beavering away designing exactly what we’re looking for. She comes up with the goods so often!